I love the title of this recipe, “Kohlrabi & Friends” Cute. & it sounds delicious! If you’re looking for a recipe for the kohlrabi in your CSA share, this is a good place to start. 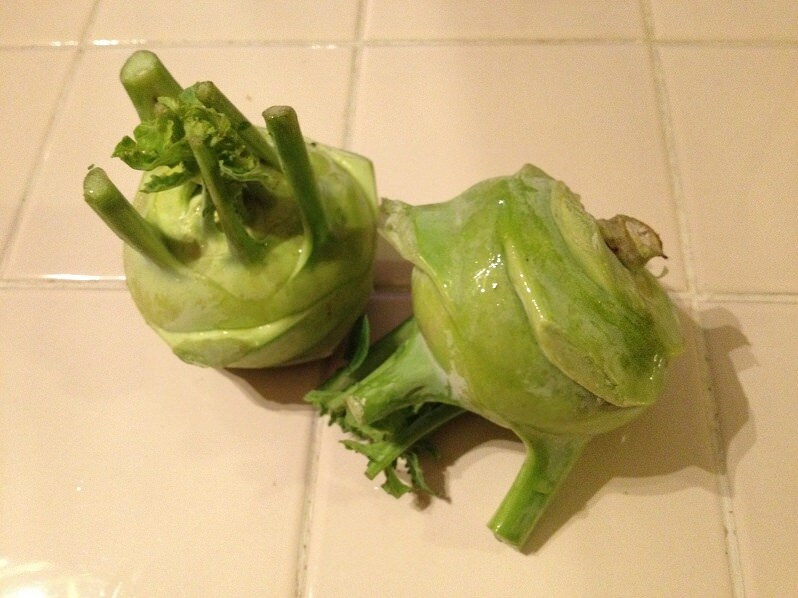 I bet most of the Google searches for “kohlrabi” are made by people who just received a few in their CSA share. It’s been one of the unexpected culinary delights of our CSA experience – tatsoi is another one. Kohlrabi has an easy-going, slightly sweet flavor and a crispy, juicy texture that works well raw or cooked. Cut away the little stem bases on the sides and peel the tough outer and less tough inner layers. Grate or slice it into salads and slaws, roast “fries” or add it to a sauté. Save the greens! You can cook them like you would any other greens.